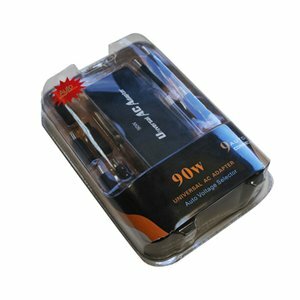 This intelligent laptop AC adapter automatically sets the voltage required for your application, based on the DC tip connected, using its advanced microcomputer CMOS chip. With wide range input to make suitable for worldwide use (only UK mains lead supplied) and LED display for output voltage this laptop adapter could not be any easier to use. Output voltages available are 15 ~ 24Vdc, 90W maximum more information detailed below.